When can babies have oranges? How to serve oranges to babies? Breast milk serves as an important source of food for babies for the first six months. After this age, you must start giving solid foods along with breast milk or formula. 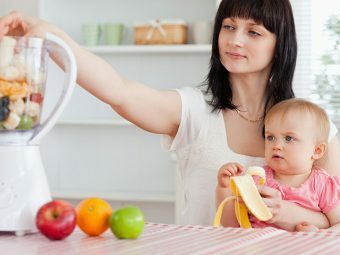 That way you can add a little variation in your baby’s diet and let your darling explore different tastes and textures. Now you may start thinking of what to offer to your little one. Of course, we would first think of fruits and vegetables. One of the healthy nutritious choices of fruits is orange. But the question here is, Are oranges good for babies? To learn everything about oranges for babies, keep reading this post at MomJunction. When Can Babies Eat Oranges? Introduce oranges and other citrus fruits to babies as they get closer to 12 months. The acidic nature of the fruit may not be tolerated by the baby’s sensitive stomach. Also, it is likely to provoke rashes in babies younger than 12 months of age. The high acidic levels can result in diaper rashes and rashes around the mouth and lips. Acid reflux symptoms may also increase. However, it may not be the case with all the babies. A few babies may not show any reaction at all. If you want to give it a try, go for moderate amounts and keep an eye on possible reactions such as hives, vomiting, wheezing, swelling, breathing troubles, watery eyes, diarrhea, or nausea. These symptoms may show up within two hours after eating the fruit. If you see any, seek medical attention right away. 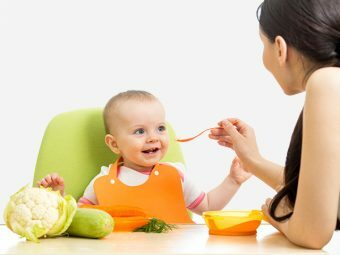 It is advisable to consult a pediatrician before offering any new food to the baby. 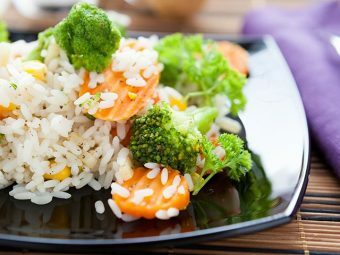 New studies that are being released since 2008 say that there is no need to delay foods that are allergenic until the baby shows no known allergy or sensitivity risk. If your baby has previously shown sensitivity to other acidic foods, wait for him to complete one year before you give him oranges. Sensitivity to citric acid: Babies are usually not sensitive to citric acid after they cross 12 months. Ascorbic acid is vitamin C, and you will seldom find anyone with an allergy or severe sensitivity to vitamin C.
Oranges top the list of refreshing and healthy snacks. 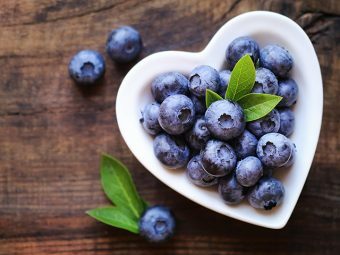 The fruit is not just rich in vitamin C but is also packed with many other vitamins and nutrients. One orange contains approximately 12% of the RDA for fiber. Oranges are rich in minerals and vitamins that are extremely beneficial for babies. Indigestion or dyspepsia is common among babies. Oranges can help in improving the digestive system of your baby. Lack of dietary fiber can result in constipation in your baby. Feeding pulpy fruits like oranges can help reduce the chances of constipation as it is high in fiber. Fresh orange juice diluted with water also helps in dealing with diarrhea. Babies tend to get rickets as they grow due to the lack of phosphate and calcium. You can keep such diseases at bay by feeding oranges to your baby. Oranges are highly effective for curing cold and cough. It also protects your baby against secondary infections. The fruit helps in building immunity and recovering from many other diseases. Serve the fruit as it is in small slices instead of making a puree. Peel, section the orange, cut into pieces and de-seed. Peel off the membranes that cover the meat and serve it to the baby. Be careful while offering citrus fruits to your baby as they can pose a choking hazard. Cut them into bite-size pieces so that don’t slip into the little one’s throat. Feed sweet oranges to your baby lest she might not like the taste. Check the condition of the fruit and avoid if you find some soft spots. Avoid commercially available orange juice or pulp as it contains preservatives and added sugar. Also, the process of packaging reduces the nutrition in the juice. Therefore, make the juice at home and offer them fresh to your little one. Try to feed the juice as soon as it is prepared to avoid its oxidation. Give it in his favorite sipper to make it more interesting. Puree the orange, add the yogurt and mix well. Transfer to ice cube trays and freeze until solid. Add water, orange juice to carrots in a saucepan. Mash if needed and add a pinch of cinnamon (optional). Blend orange, add apple juice and blend further. Pour into a freezer-proof container and freeze for an hour. Blend once again. Transfer back to a container. Freeze until firm. Add olive oil to a pan and keep it on medium heat. Add banana slices and sauté. Add orange juice and apple juice. Continue to sauté for some more time. Mix all the ingredients. Blend to get a runny consistency. Add lentils and pour water into a pan. Cover it with a lid and cook for 20 minutes. Stir in orange juice and cinnamon. Turn off the heat. Pour the contents into a blender and blend well. To a cup of yogurt, add mandarin oranges. Add honey if desired. Note: Mandarin is a small citrus tree with fruit resembling oranges. 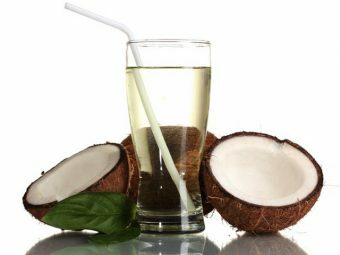 Shake all the ingredients in a container or stir in a glass until well blended. Cut an orange in half widthwise. Scoop out the flesh on both the sides, without cutting through the shell. Remove remnants like juice and orange pulp. Cut the orange sections into small pieces. Mix in the apple and banana pieces. Spoon the fruit salad into the orange shells and serve. Transfer the ice-cubes and juices to a blender and blend until thick and smooth. Cook carrots until soft. Add in orange juice and cinnamon powder. Blend well. Give oranges as fruit or churn out a yummy recipe from them. Either way, your baby is most likely to like the fruit. Q. When can babies have orange juice? A. 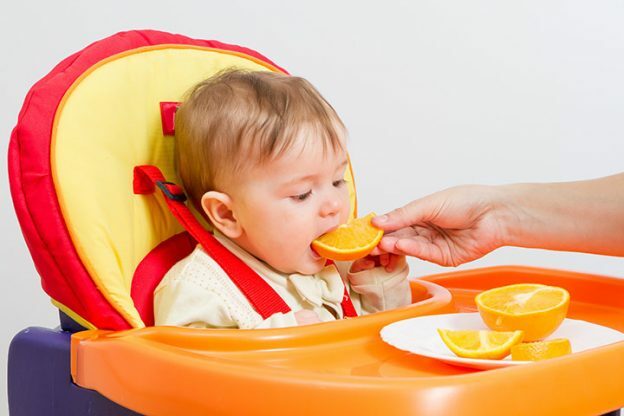 You may give orange or any other juice to your baby once he is on solids (i.e. from six months), as long as he does not show any reactions to acidic fruits. It is essential to dilute these juices. Dilute one part juice with ten parts water. Offer not more than 120ml juice a day. Offer any fruit or vegetable juice in a cup or a beaker, not in a bottle and not before bedtime. However, it is better to give your baby whole oranges than juice as the latter affects the enamel of the milk teeth. Also, it contains added sugar. As the pulp is lost from the fruit, many nutrients are lost. Q. Can babies eat mandarin oranges? A. Yes, babies can eat mandarin oranges as they get close to 12 months if they do not show any allergic reactions to citrus fruits. Q. Is orange squash good for babies? A. It’s not a good idea to offer fruit squashes and cordials to your baby. The high sugar and/or sweetener content in those drinks can cause tooth decay, besides encouraging your baby to have a sweet tooth. Moreover, they have little nutritional value. Q. What are the alternatives for citrus fruits? A. Many foods other than citrus fruits can fulfill the daily vitamin C requirement of your baby, as he needs only 35mg of it. The requirement can also be met through melons, ripe papayas, baked potatoes and spinach. These foods have a low incidence of food allergies and sensitivity reactions. Q. Can I use citrus acid to preserve homemade baby food? A. Using a drop or two of lemon juice as a preservative in a fruit purée should be okay. The drops are spread throughout the purée, and it is less likely for the infant to consume it at one go. It is different from offering a few orange slices to your little one. But, avoid it if your baby has a clear sensitivity to citrus foods. Did you feed your baby with oranges or orange juice? Did he take it well? Do share your experiences with other mothers, by commenting below.